I am doing a nailart challenge called Nail That Technique. As the name suggest it's about trying various nailart techniques. Nailbuddies from Indian Lacquer Lovers gave their input for this challenge and our dear admin Dimpal from CrazyPolishes did a hard work to put all this together. First theme in this challenge is Blobbicure :) This is probably my second attempt for blobbicure and I loved how it turned out. I called it Reptile skin though I never planned it like that. I did try a lot of colours and finally settled on this colour combo. 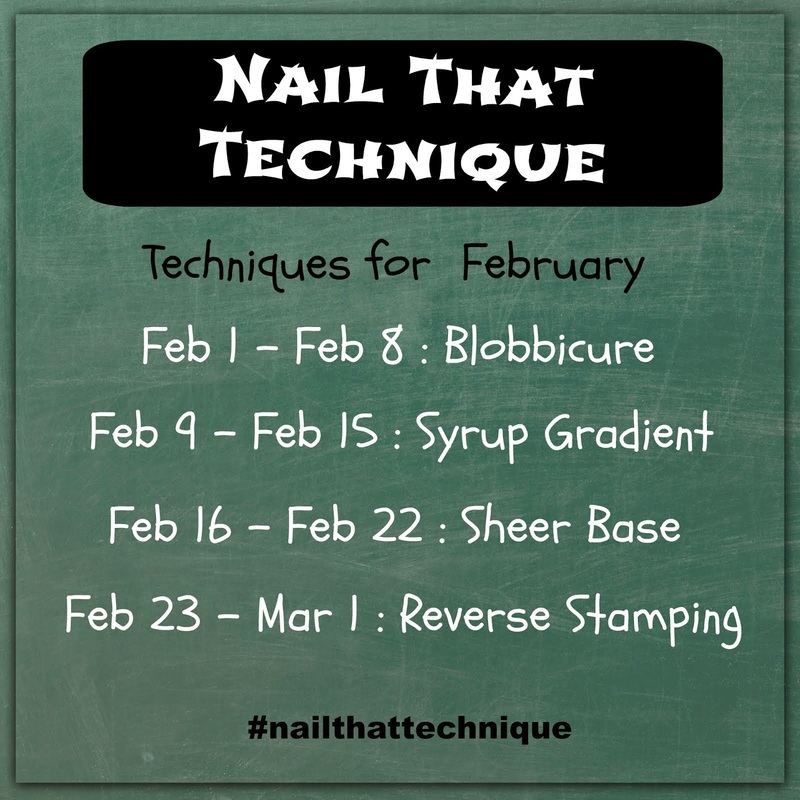 How to do a blobbicure? It's basically dropping one polish on a base polish while it is still wet that way the drop spreads to make an irregular spot. You can control the size of the blobs by dropping less or more polish from the bottle. Some also like to use dotting tool to drop the polish but the outcome is different and looks more of a circle than something irregular. 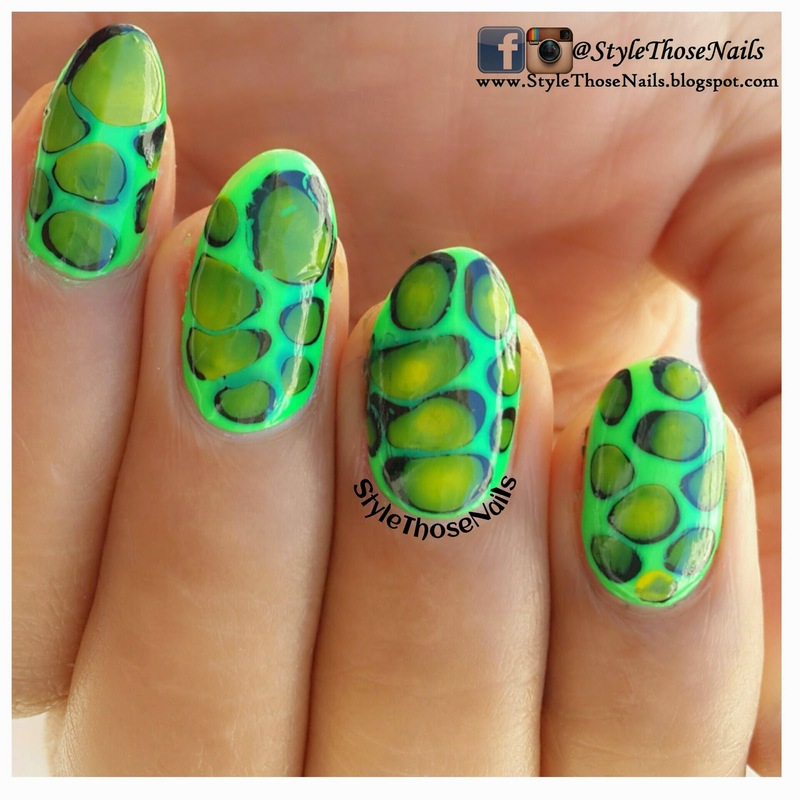 You can also layer the blobs with different polish. Choice of colours- Try to use colours which can be distinguished easily to make blobbicure look vibrant. Type of Polish- Polish should be thin flowy but not sheer. Creams works nice as base. 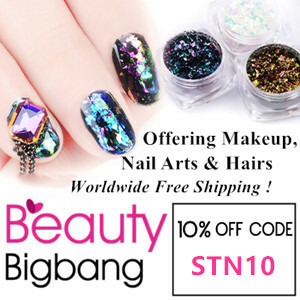 One Nail at a time - It's obvious as we don't want our nail polish to dry before dropping another polish so work quickly as soon as you apply the base and work on one nail at a time. I hope you liked this nailart. 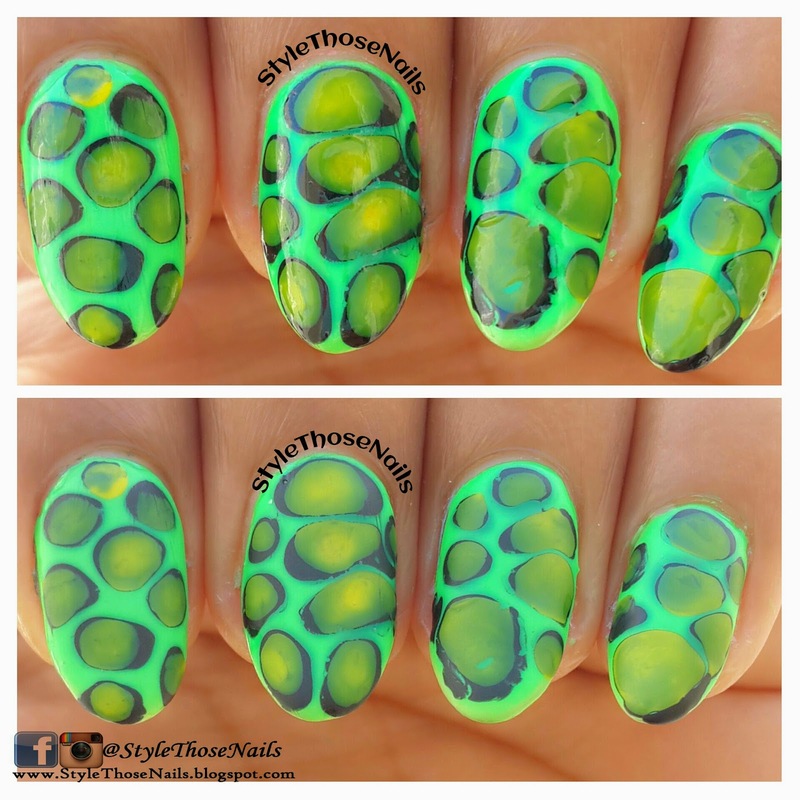 Have you ever tried blobbicure? If you want to join us Follow us on Instagram HERE and post your nailart with #nailthattechnique for a chance to get featured.